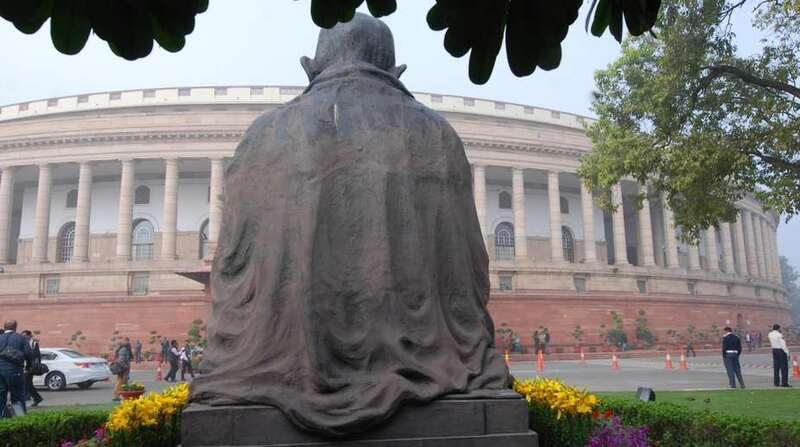 Amid massive sloganeering by opposition, both houses of Parliament were on Monday adjourned for the day even as Union Home Minister Rajnath Singh urged the agitated members to let the house function. As soon as the Lok Sabha met again at 12 pm, after it was adjourned in the morning, the opposition members including Telugu Desam Party (TDP) and AIADMK MPs indulged in sloganeering, yet again. The hooting intensified as Union Home Minister Rajnath Singh stood up to address the house. “We want a discussion on the issue of no-confidence motion and we appeal to everyone that there should be discussion,” a barely audible Rajnath said as the opposition members refused to budge. Speaker Sumitra Mahajan too urged the members to calm down and let the house work. However, as her pleas fell on deaf ears, the house was adjourned for the day, minutes after it reconvened. While Telugu Desam Party (TDP) and YSR Congress MPs were protesting over special category status to Andhra Pradesh, AIADMK members were agitating over the Cauvery issue. The TDP and YSR Congress are pushing for their notices of no-confidence motion against the Narendra Modi government to be taken up in the lower house. However, the speaker had made it clear that the notices will be entertained only if the house functions. 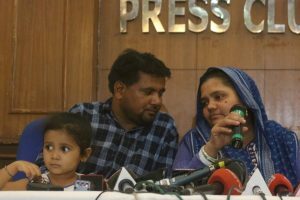 On March 16 as well, both the parties had tried to move the motion but it could not be taken up amid protests and sloganeering. Meanwhile, the Rajya Sabha too was adjourned for the day after protests by TDP and AIADMK MPs earlier in the day. The second phase of the Budget session that resumed on March 5 has seen continuous disruptions. Despite this, the government managed to pass the Finacial Bill. The Rajya Sabha has not been able to transact any business for two weeks in a row due to disruptions by various groups including the opposition. The opposition has been demanding discussion on the frauds in the public sector banks, particularly the latest multi-thousand crore rupees Punjab National Bank (PNB) scam which involves diamontaire Nirav Modi and his relative Mehul Choksi, under the adjournment motion.